A Supreme Court Bench comprising of Chief Justice H.L. Dattu and Justice A.K. Misra today ordered tagging of a PIL with a pending case seeking a CBI investigation into SEBI’s decision to allow promoters of Bank of Rajasthan to sell their shares after its amalgamation with the ICICI bank in 2010. The plea, filed through Advocate Prashant Bhushan was admitted after Bhushan told the Court that a similar issue was pending adjudication in the Supreme Court. It says that this loss will become irreversible if the Appeal filed against the order of Securities Appellate Tribunal is decided by the Court. The PIL was hence tagged with these appeals filed by some of the promoters and entities and is pending. It has sought directions to the SEBI or any other body to "quantify the gains made by promoters of Bank of Rajasthan and other entities jointly" and order RBI to levy appropriate penalty from the violators. It also says that there is a need to make SEBI accountable and hence it is necessary that it should be notified under Section 8 (2) of the CVC Act, “so that no cover up can take place and officers in conflict of interest position cannot be appointed”. 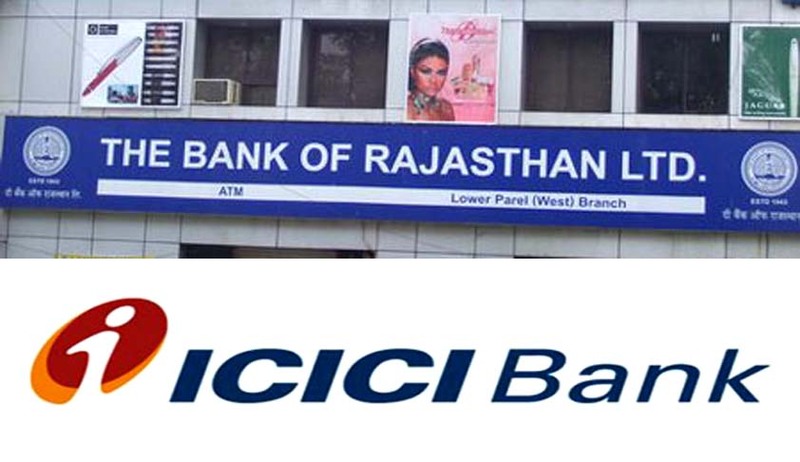 The Reserve Bank of India had given its approval to the merger of Bank of Rajasthan with ICICI Bank in 2010, it said. On a reference made by RBI the Securities and Exchange Board of India conducted investigation into the affairs of Bank of Rajasthan Ltd for the Period June 2007 to December 2009. The investigation found that the promoters of Bank of Rajasthan had increased their stake in the Bank while they had given an undertaking to RBI to decrease their stake in line with the permitted shareholding of the promoter in a private bank. Further, the promoters deliberately declared in the quarterly filings that they had decreased their stake while they had been actually increasing their stake through entities funded by them. On investigation by SEBI, the promoters were found to be in violation of various sections of Prohibition of Fraudulent and Unfair Trade Practices Relating to Securities Market Rules. The profit made by the promoters/entities on the excess holding of 34.54% was over 500 crores. Under the law, this profit was to be disgorged and fine levied on it. According to the Petition, the loss occurred because SEBI deliberately did not quantify the gains made by the promoters/entities for violation of various sections of Prohibition of Fraudulent and Unfair Trade Practices Relating to Securities Market Rules. “By not quantifying the gain, SEBI took the gain as zero and not as over Rs. 500 crores that it should have done. By taking the gain as zero SEBI was able to put a token fine of Rs. 30 crore which in appeal was reduced to Rs. 20 crores,” the Petition claims. The order of SEBI adjudicating officer had claimed that it is difficult in such cases to quantify exactly the disproportionate gains or unfair advantage enjoyed by entity and the consequent losses suffered by the investors. The Petitioner however claims that the gain could have been easily quantified from three different sources, namely the brokers who did the deal, the stock exchange on which the deals were done, the depositories which delivered the shares. It therefore contends that by collectively fining all the people involved in the fraudulent trading by Rs. 30 crore, which was reduced to Rs. 20 crore in appeal for SAT, there was a scam in non-quantification of the gain and that the gain was over Rs 500 crores which was to be disgorged. The purpose of the Writ Petition is to determine whether the gains made by the parties involved in the scam could be determined or not and if it could be determined then what was the quantum of the gain. It asserts that there is sufficient evidence to show that the gain was not quantified in order to benefit the promoters of Bank of Rajasthan. The loss to the exchequer would be over Rs. 2000 Crores, if the penalty of three times the gain, as provided in section15 HA of the SEBI Act too had been levied. The Petition further alleges charges of insider trading being involved in the scam. “Promoters were not charged with the offence of insider trading on account of knowledge of selling the Bank in the market leading to the increase in price of the share which led to their increasing their stake gradually and making the wrong disclosures,” it says.